Home /property inspections services in Lee County, you get to benefit from our certified and practiced Coastal Home Inspectors that provide reports which meet or exceed the state standards. We provide Lee County Home Inspection Services for homes/condo and investor properties in the greater Lee County villas. At coastal home inspectors, we always suggest to our respected clients to get your home inspection and its components before buying and selling agreements. Our home inspectors are all professionally practiced and having lots of skilled in perfect home inspection services. At Coastal Home Inspectors we will work harder for you than someone who is an employee to you. Our professional Lee County Home Inspection Services providing you exceptional service in order to stay in business. Our home inspectors have vested interest in ensuring your satisfaction and complete peace of mind. Our all home inspectors has the same level of dedication. Everyone get issues, even taking brand new homes. Some home inspectors may give you a (clean bill of health) without recognizing any problems. Coastal Home Inspectors, however, will be honest we have yet to find a home that didn’t have defects or any harm issues, but it’s up to you whether those problems are worth fixing or walking away from. Our Home Inspector Report will help you make a sound decision on whether the good outweighs the bad, as well as giving you negotiating power at the offer table. At Coastal Home Inspectors, we are trained to be conversant with a wide variety of situations in home inspection services Lee County. Our home inspectors give you a professional and entirely, fairness, and effectiveness of our Lee County Home Inspection Services. All of our home inspection reports are authentic and stand up to serious inspection. We continue to build our reputation in Lee County. Our inspectors give you the accurate home inspection at a time to ensure you get the outstanding services you imagine from an experienced home inspector. At Coastal Home Inspectors a complete home evaluation package our home inspection reports contain major deficiencies and provide a valuable education about the home structure and its systems in Lee County. Lee County Home Inspection Services have practiced and experienced home inspectors that inspect your home from top to bottom. 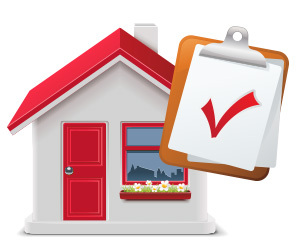 Lee County Home Inspection Services will accompany you through the home, answer questions and report fully consist of Structural components, roof/attic, grooves/drainage, exterior finish, basement/crawl, fireplace/chimney, general summary and many other essential components. At coastal Home Inspectors, our professional home inspectors give you a brief summary report of home inspection after all home components inspection in Lee County. That easy to observe the report and also easy to making a good decision of buying and selling agreement of home in Lee County.